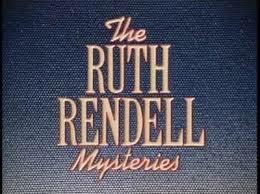 Ruth Rendell died this past weekend. Along with Patricia Cornwell, she was one of the two greatest mystery writers for the past couple of decades. I thoroughly enjoyed her books which, as her New York Times (NYT) obituary said, were “intricately plotted mystery novels that combined psychological insight, social conscience and, not infrequently, teeth-chattering terror.” For a mystery writer, it does not get much better than those accolades. Another crime writer, the Scottish author Val McDermid, was quoted in the NYT that Rendell and P.D. James “transformed what had become a staid and formulaic genre into something that offered scope for a different kind of crime novel. In their separate ways they turned it into a prism for examining the world around them with a critical eye.” Rendell was truly an innovator and a one-of a-kind. The authors suggest that to “debias” your decisions, you must broaden your perspective on three fronts. These are (1) thinking about the future, rather then simply one objective; (2) thinking about objectives, rather than simply the circumstances in front of you; and (3) thinking about options, rather than thinking in isolation. Here the authors believe you should have a “critical mass of options to make sound decisions, you also need to find strong contenders—at least two but ideally three to five.” They note, “Unfortunately, people rarely consider more than one at a time. Managers tend to frame decisions as yes-or-no questions instead of generating alternatives.” The authors also believe that corporate groupthink tends to avoid a loss rather than reaching for a win. To overcome this, they suggest two techniques. Why is all this important for the CCO or compliance practitioner? It is because we are presented with options that appear to be simply Go/No Go or even one-off decisions. A Foreign Corrupt Practices Act (FCPA), UK Bribery Act or other anti-corruption program should require a variety of responses. Just as all risks are different, the management of risks can be handled differently. As a CCO or compliance practitioner you cannot be Dr. No living in the Land of No; you must be proactive to come up with solutions to help your business unit folks to no only do business in compliance with the relevant laws but to actually do business. Just as Ruth Rendell was able to weave an intricate story line into the traditional mystery format, you, as the CCO or compliance practitioner, should be able come up with solutions to the compliance issues that you face. Great article. As a professional working on supply chain and compliance I am often looking for suppliers in difficult areas of the world and in many cases those services and products are critical to the business. I have found that discussing contingency plan with the business and operations groups, in advance, helps to ensure you have alternatives to support critical business while simultaneously provides awareness to them on the potential risks. That revision and evaluation of possibilities also gives you their buy in and understanding on proposed alternative suppliers (or helps them to come with whole different products/services) that may replace a sole source that may become a "no-go" during the DD. In fact, I really like the “vanishing-option test” as a method to spark our teams at business, operations and supply chain into developing contingency plans.